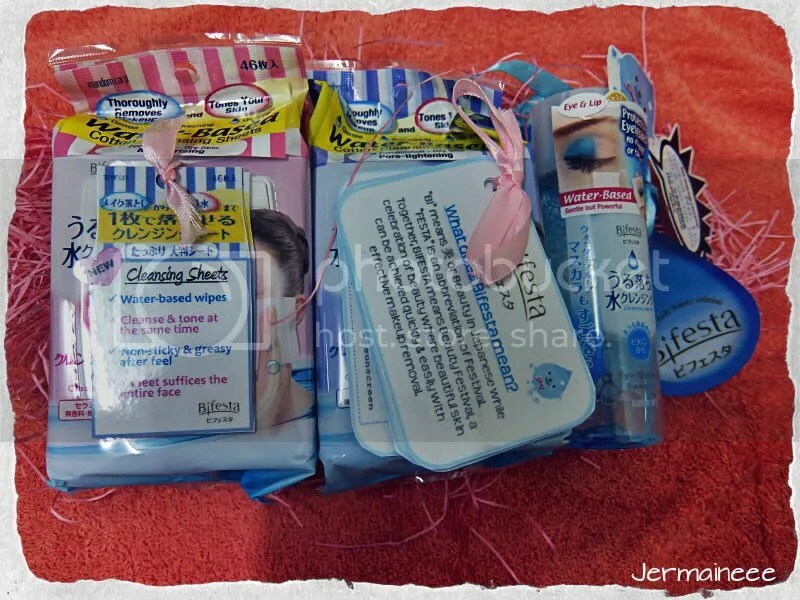 (Sponsored Review) Cleanse, Tone, Moisturize with Bifesta’s Water-Based Makeup Removers! Therefore, it’s about time for me to stress on the importance of the make-up removal process so that you can ensure that your skin stays in tip-top condition.. As i have stressed in one of my blog entry, it is important to use effective products that will remove all dust, excessive sebum, impurities and make-up which contributes to skin problems (like acne and sensitivity).. In addition, you will need perfectly cleanse skin in order to prep it for your other skincare products (So that whatever you applied on will be fully absorbed and penetrated by the skin)..
‘Bi‘ actually means Beauty or 美 in Japanese while ‘Festa’ is an abbreviation of Festival. Together, BIFESTA means Beauty Festival, a celebration of beauty means Beauty Festival, a celebration of beauty where beautiful skin can be achieved quickly and easily with effective makeup removal. 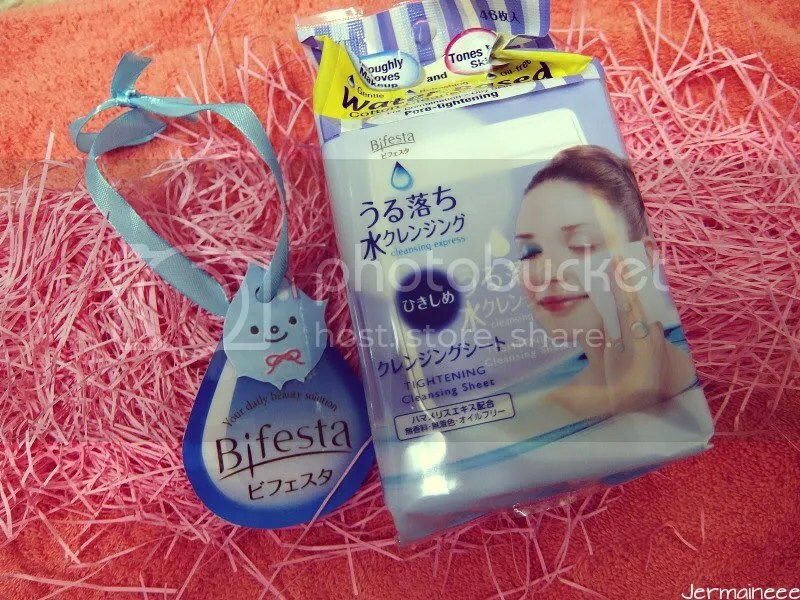 BIFESTA is the first to introduce water-based makeup remover in Japan which is suitable for every skin type, lifestyle and occasions. Its product lines include water-based makeup removers with non-rinse and rinse options that are infused with beauty lotions to address every conceivable grouse and need (be it dry skin, oily skin, lifeless skin, age care, combination skin, or eye and lip care). Because BIFESTA provided simple, fuss-free and yet reliable makeup removal solutions with added skincare qualities to cater to our hectic lifestyles, it has won many awards in Japan and Singapore. 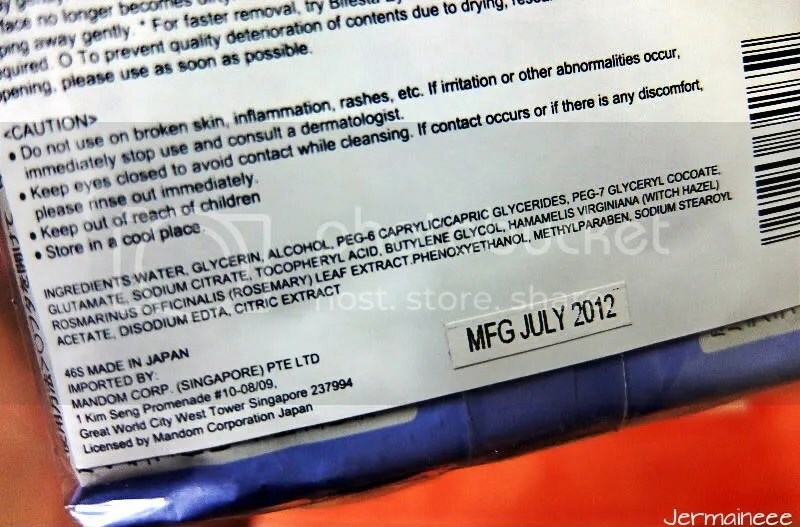 In Japan, 3 bottles of Bifesta makeup removers are sold every min in Japan. 2) Substitute as morning cleansing right at your bedside. 3) Easy removal of makeup errors. 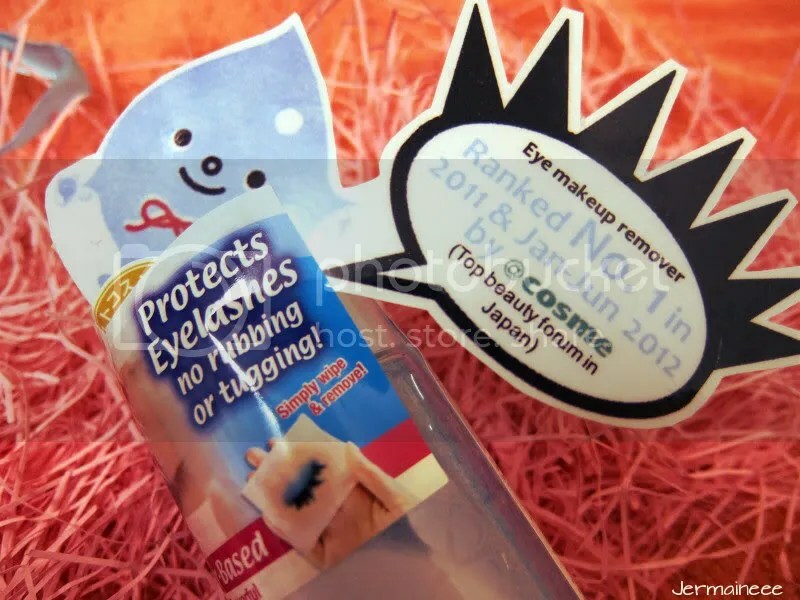 This is Bifesta’s star product and it is ranked no 1 in 2011 and Jan-Jun 2012 by Cosme (The Top Beauty Forum in Japan).. The Eye-make up remover which can be used for the lips as well will cleanse powerfully, retains moisture and stays gentle to skin.. Beside providing effective cleansing abilities, it also contains Vitamins B and E for added skincare needs. 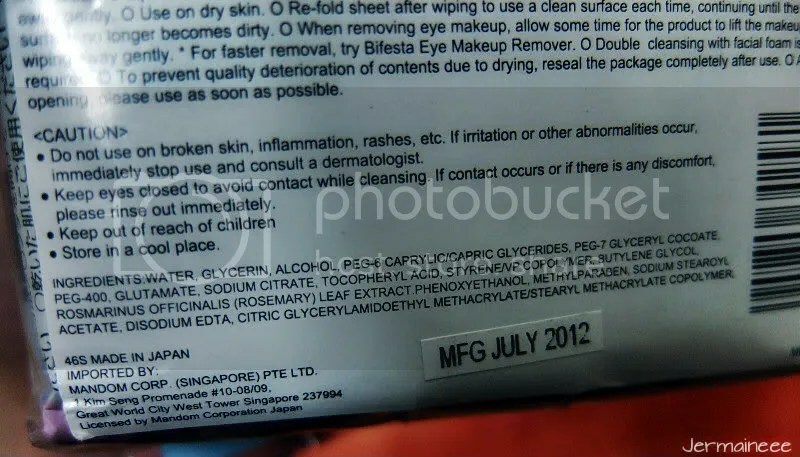 The eye-make up remover is derived from a water gentle and water-based formula. The formula is made with skin toner that contain oil dissolving moisturizing agents which allows make-up to be lifted quickly without tugging and gives skin ample moisture while cleansing thoroughly.. The highly effective emollient oil layers with water base will give a dual effect of cleansing and it removes even the most stubborn waterproof mascara. Hence, the high cleansing power ensures that no rubbing or tugging is required so as to protect eyelashes and delicate skin around eyes. Suitable for all, the eye-makeup remover has Hypoallergenic formulation which is friendly to sensitive skin. Moreover, it is Fragrance free, coloring free, paraben free. 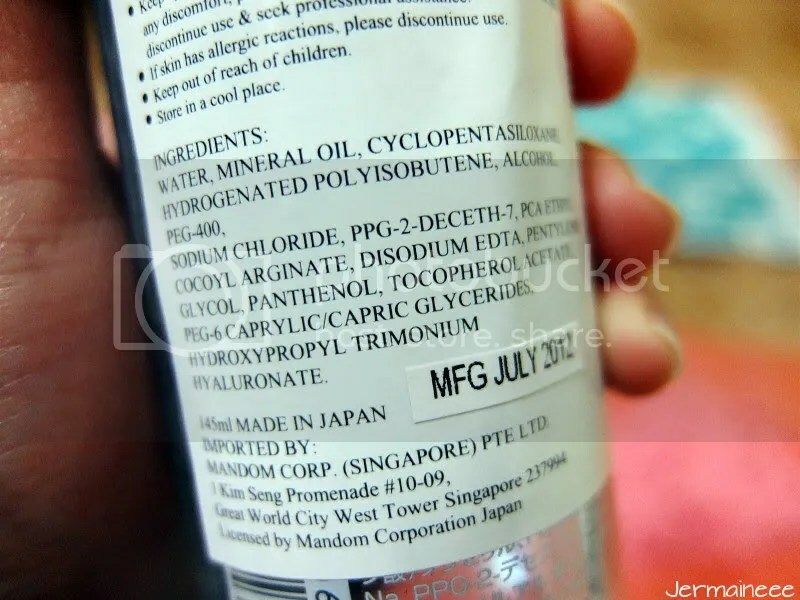 To use it: Shake before use and dispense suitable amount of product onto cotton-pad and wipe gently.. No rubbing is required as product works by lifting makeup instead of melting it away.. For removal of waterproof make-up, just hold cotton pad against eyes for a while before gently rubbing it away. This refreshing cleansing sheet is a 3-in-1 Beauty product as it removes makeup, tones and moisturizes in a single step. Most important of all, it is Oil Free, Coloring Free and Fragrance Free. The 100% Oil free, gentle and refreshing water-based cotton sheets will remove make-up and dirt completely for an excellent comfortable after feel.. As the formula is water-based, it will leave skin fresh and non-sticky for a super clean comfortable feel.. Its gentle and fast removal of make up makes it a pleasure to use without the need to rinse off or double cleanse. After cleansing, this cleaning sheet will sloughs off dead skin cell and leave skin supple as it contains Ceramide like ingredients which keep skin hydrated! **Washing face again will wash off the moisturizing ingredients so if really a must, just rinse face with water will do. Cleanse skin, tightens pores with witch hazel and moisturizes with glycerin, this gentle and refreshing water-based Cotton Sheets will do the jobs well.. Oil Free, Coloring Free and Fragrance Free, this cleansing sheet will thoroughly clean make up without the need to rinse off or double cleanse with facial waste. Its water-based formula leaves skin fresh, non-sticky and it isn’t harsh on skin… Besides, it contains additional skin benefits that will slough off dead skin cells and tightens pores with witch hazel. 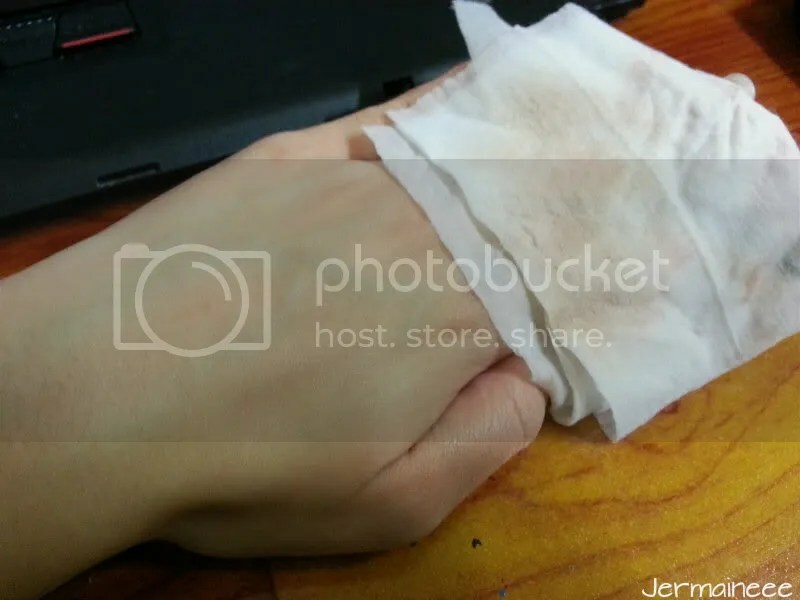 To use it: Open lid and pull ring of the inner plug with finger and take out one sheet at a time.. Use the sheets on dry skin and wipe skin’s surface gently. Refold sheet after wiping and use a clean surface each time and continue action till sheet is no longer dirty. When removing eye-make up, allow sometime for product to lift up impurities. 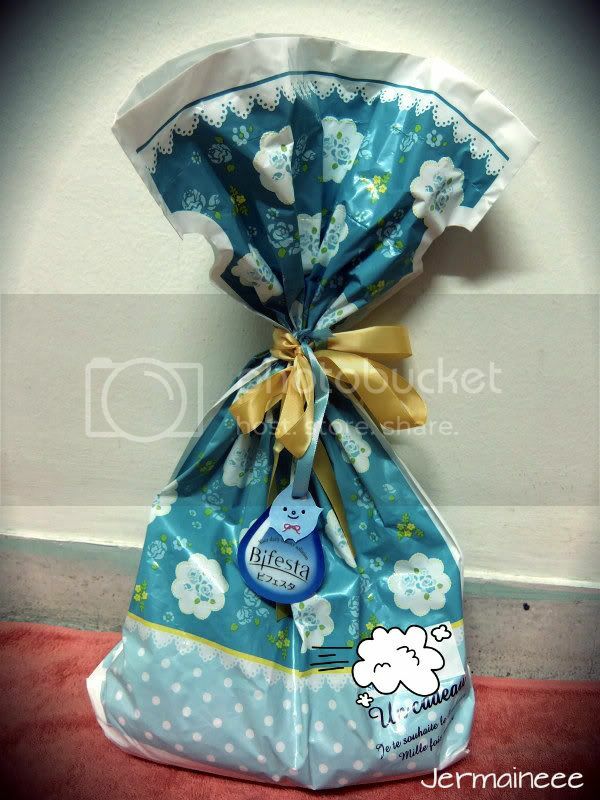 The content is ‘house’ in a clear blue plastic bottle (145ml) with air-tight turn and tighten cap.. 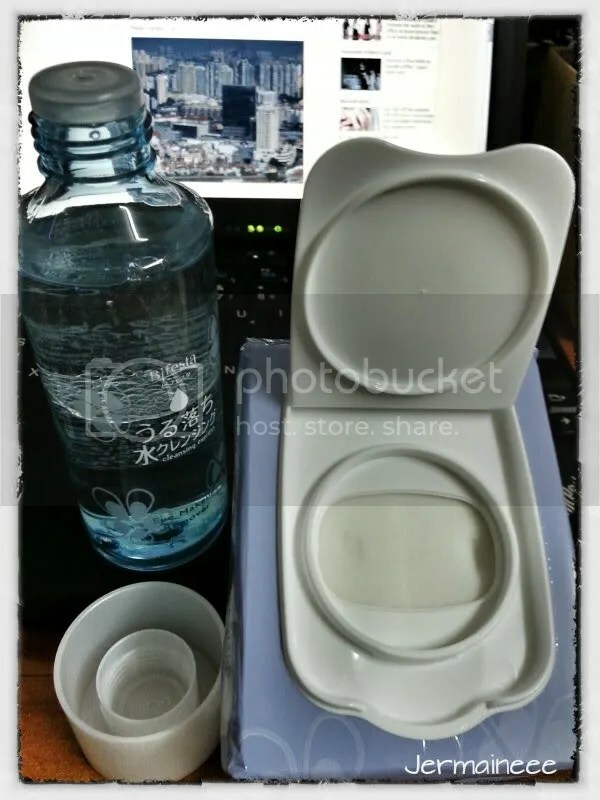 This makes it very handy and safe for you to carry around without the need to worry about leakages. The eye-make-up remover is really gentle on eyes as it doesn’t cause any stinging sensation during make up removal. 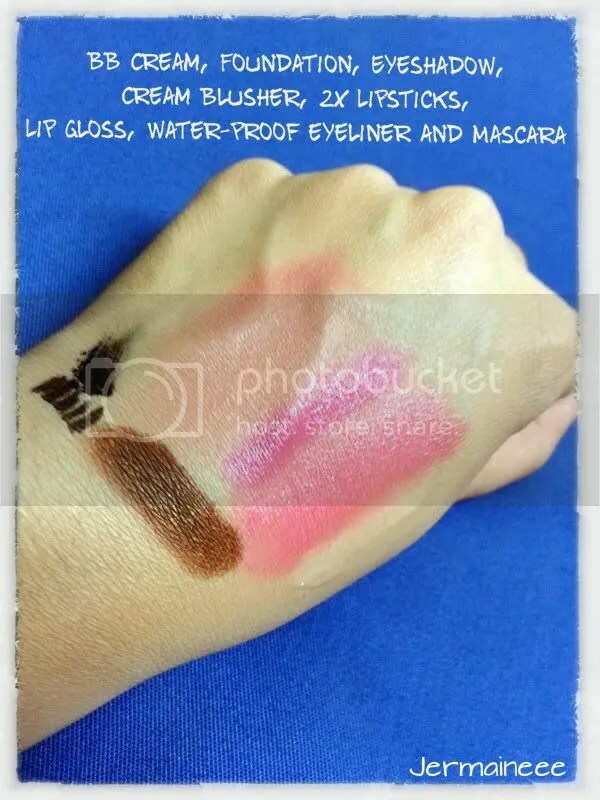 Although the formula is gentle, the cleansing power is really good as it will remove my water-proof eyeliner and mascara in just 2-3 swipes!!!! I’m really impressed as my eye make-up can be lifted off so easily without it smudging on my lower eye areas. 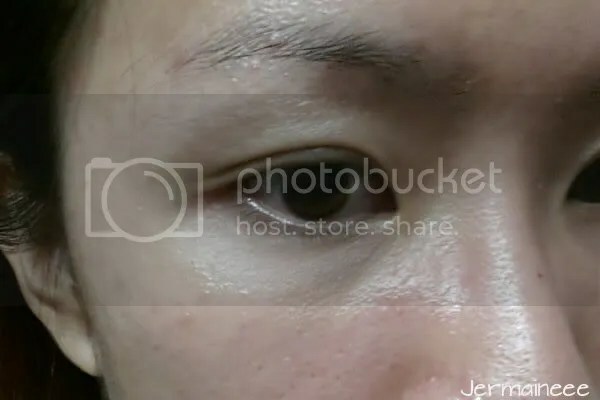 The trick is to allow the cotton-pad (Soaked with the make-up remover) to ‘sit’ on your eye lids for about 10 seconds. After which, just wipe it across your eye areas gently and you will have clean-looking eyelids! 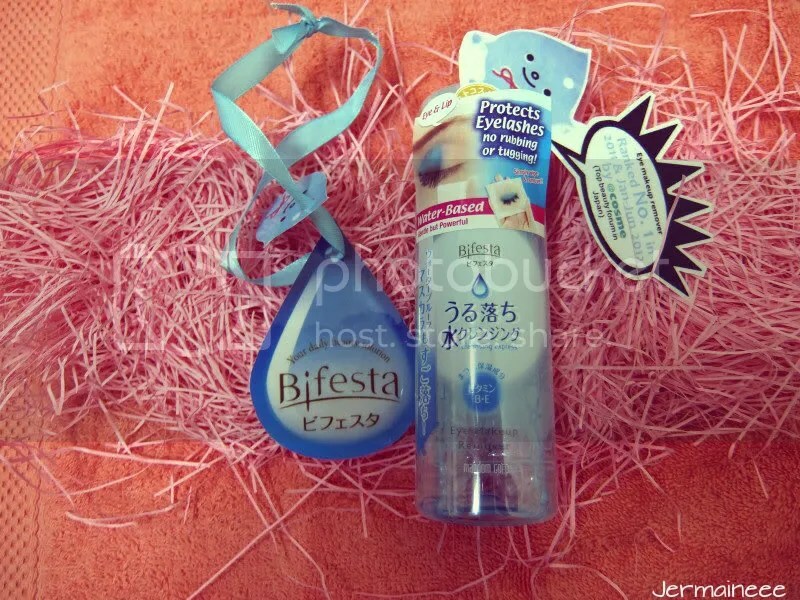 If you are looking for a eye-makeup remover that is gentle, non-oily and cleanse well, look no more and i’ll highly recommend Bifesta’s Eye make-up remover. 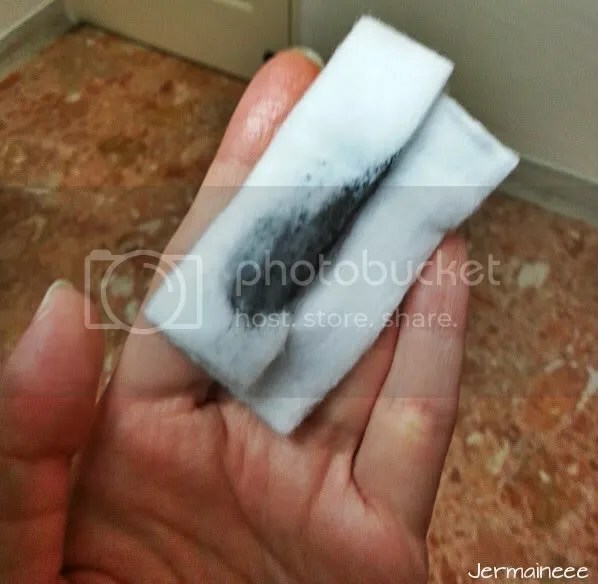 Bye Bye my waterproof eye-makeup! No smudges but clean-looking skin on my eye area! In order to let my skin breathe, i’ll try not to pile too much make up on my face.. 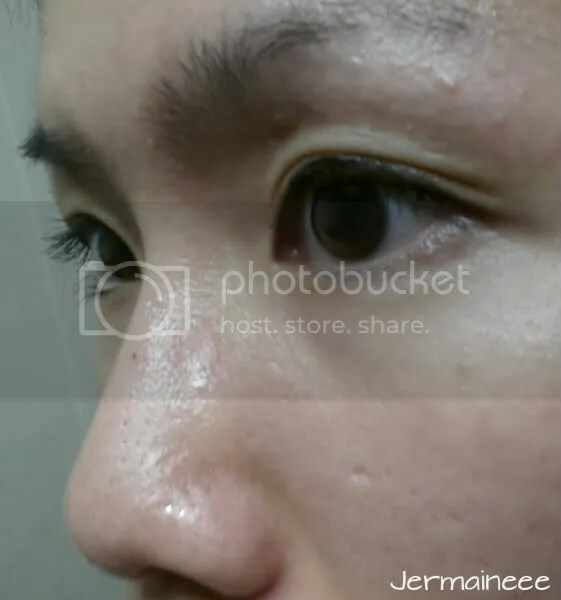 Most of the time, i’ll only use sunblock and concealer which the Pore tightening Cleansing Sheet can easily cleanse it off… Since i have very light make up on, 1 sheet will be enough to do the job.. After cleansing, my sensitive skin doesn’t turn red so i will say that the cleansing sheet is gentle on my skin.. Moreover, my skin feels soft and there’s no tight sensation! As for pores size, i don’t see much difference as i have huge pores size to begin with… The only rant of will be the scent of the cleansing sheet as i really dislike the smell of witch hazel.. For me, i will still double cleanse as i will prefer to have squeaky clean skin! lol! 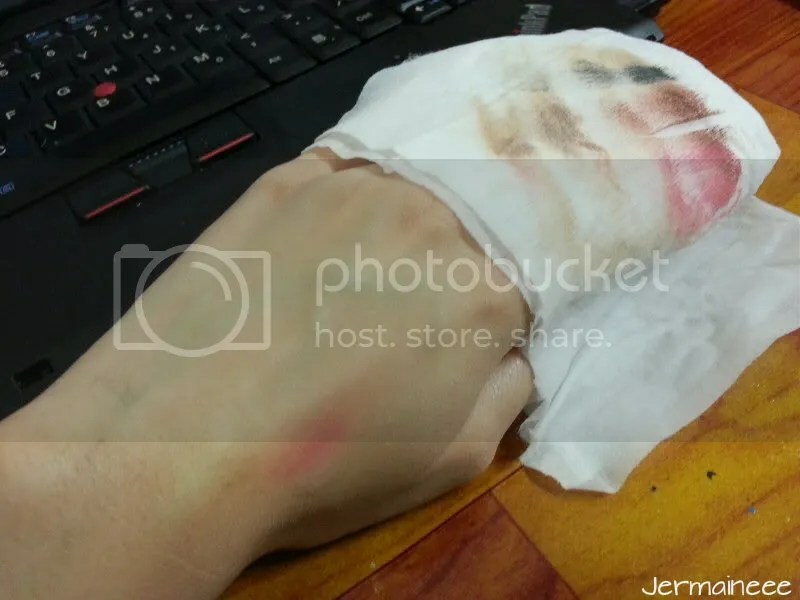 In order to test the true strength of the cleansing power, i’ll test out its ‘power’ on removal of heavier make up..
On my hand, i have BB cream, foundation, eye-shadow 2 types of lipsticks, lip-gloss cream blusher, waterproof eyeliner and Mascara on! I allowed the cleansing sheet to sit on the make-up for 10 seconds and with one wipe, most of the make-up came off..
All of the make-up came off after 3 wipes and i don’t have to exert much force in order to cleanse the make-up off… The cleansing sheet will be handy on lazy days but personally, i will not repurchase it as i am not a big fan of cleansing sheet due to my sensitive skin.. Other than that, will recommend this product if you want something that will remove your make-up fast and effectively. 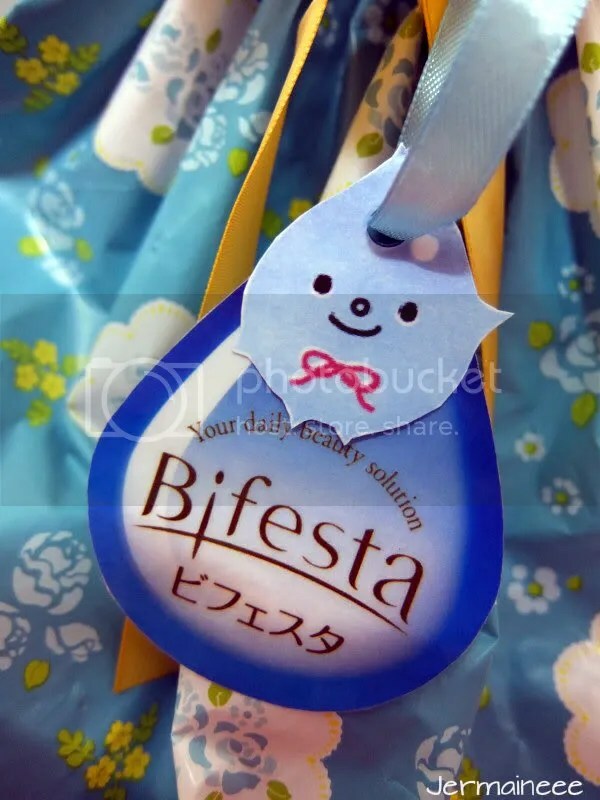 Bifesta products are available at major Watsons, Guardian, Sasa, Meidiya and Nishino Pharmacies.